My wife called me Monday afternoon with the expected, but untimely news that my mentor and friend Eugene Peterson had passed away. “I’m sorry,” she said with a soft and warm tone, her voice trailing off into silence. I was preparing for this moment for the past few years – even more so the past week, as he was put on hospice – but the tears still flowed. Some out of sadness, most out of gratitude for his life. His son, Eric, wrote that for someone who practiced Sabbath, which he kept on Mondays, it’s only fitting Eugene experienced true rest for the first time on that particular day of the week. Eugene was not only a pastor, a professor, an author, but also the translator of The Message Bible, which gave fresh language to millions of people around the world. He was a mentor to many pastors. I was fortunate enough to be one of those pastors he poured into. He was a mentor and a friend. He was also my pastor from afar. At 23 years old, right out of college and just married, my wife and I moved across the country and began working at NavPress, the publishing company that published The Message Bible. Around that time, The Message has just been published in its entirety. Through what seemed like an accident, I was asked to emcee the celebration party for Eugene and his wife Jan Peterson, a grand event thanking him for the decade of translation work he took so seriously. This is where I first met Eugene. He was kind enough to give me his mailing address and promised to respond to every letter I might send. He and I wrote dozens of letters back and forth through the years. He kept his word. He wrote back every time. Those letters were precious gifts, each one helped me mature and grow into what it meant to be a pastor. He was also kind enough to write an endorsement for my first book and the foreword to another one. There’s no way for me to fully communicate the impact he has had on my pastoral calling. Nobody has marked me more as a pastor than Eugene. He loved God. He was patient and kind. He was thoughtful. It felt like everything that came out of his mouth was laced with timeless truth and godly wisdom. He was brilliant. He was a scholar who wrote over 30 books and could read and translate the original Hebrew and Greek aloud faster than I could read my Bible in English. Even in his brilliance, he will be remembered for his translation, which helped countless “ordinary” people understand the extraordinary story of Scripture. Yes, he was brilliant, but he was also deeply humble. He never paid much attention to the way people paid attention to him. Fame and fortune – even influence – weren’t his priorities. It was faithfulness. And faithful he was.  As someone who has served as a pastor for 15 years, and now as someone who invests in pastors and teaches future pastors at Missio Seminary, Eugene leaks out of me on a regular basis. He’s baked into my pastoral DNA. I share his stories and metaphors when I coach leaders, his approach to pastoring shaped how I pastored in the church I helped plant and his words and many of his lines from The Message are often inserted in my teaching notes. My students have joked with me that I quote either Dallas Willard or Eugene Peterson at least once each class. It may be true. Eugene’s perspective on ministry was so fresh – so counter-cultural – in a time when the cultural context in North America (even within the church) was saturated with branding, marketing and image-consciousness. Eugene didn’t care about any of that. He felt an image-conscious congregation could not be a faithful one, at least not one faithful to God. He believed strongly that marketing the work of God cheapened what God was doing within local churches. In his words, it bastardized it. One of my favorite quotes of his hangs on the whiteboard of my home office: “A local church is a congregation of embarrassingly ordinary people in whom God chooses to be present in the world.” He wasn’t devaluing ordinary people; he was elevating God and His gracious inclusion of ordinary ones into His extraordinary mission. Eugene kept his congregation attentive to God. He was able to do that because he was continually attentive to God, even to his last breath. As a South African pastor-friend of mine, who was also mentored by Eugene, texted me on Monday: “Eugene was a wonderful pointer to Jesus.” Many of his friends and family members will tell you the public Eugene matched the private Eugene. He was the same person. His patience, faithfulness and rootedness as a pastor was much needed, especially in a world that is rushed, anxious and on the surface much of the time. I will miss writing our letters back and forth, but my memory of him will remain strong. His writing was pastoral, but he was also equal measures prophetic and poetic. He’s one of the few Christian writers I can think of today who we will be reading 50 years from now. Not just The Message, but also his pastoral theology books. Eugene will be missed, but his influence will continue on. If you’ve read one of Eugene’s books, in the next month, read (or re-read) one. If you’ve never read him before, commit to reading one. Maybe start with The Pastor: A Memoir, Eat This Book or A Long Obedience in the Same Direction. It will help to shape your imagination for what the pastoral vocation and calling can and should be. His legacy will certainly be seen largely as the one who translated The Message. But more importantly, he lived the message. He loved his God and he met him face-to-face this week. Eugene’s family has reported that as he neared death, he looked joyfully toward heaven and said, “Let’s go.” He lived well all the way to the end. Enjoy your homecoming, my friend. J.R. Briggs has three passions: to equip and invest in hungry kingdom leaders, to grow fruit on other people’s trees and to collaborate with others to create good kingdom mischief.In short, his calling is to help leaders get better.